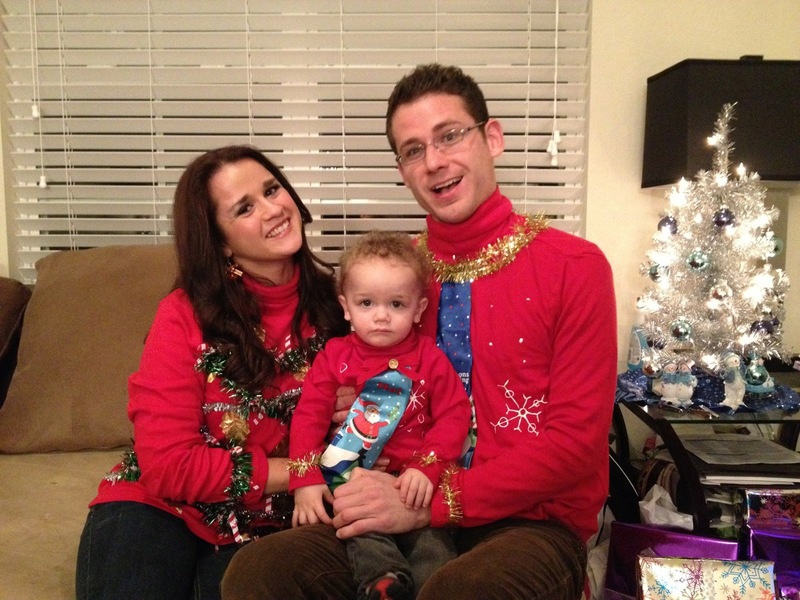 Reluctant Chauffeur: Crazy Christmas Photo Competition 2012: Final Pictures!! VOTING HAS ENDED. 2012'S WINNER IS #8, "REDNECK CHRISTMAS". CONGRATULATIONS! JOIN OUR 2013 COMPETITION ON FACEBOOK. How to vote: Anyone can vote by number using Facebook comment below. You cannot vote for your own. YOU MUST VOTE FOR TWO to be eligible. Feel free to get your friends to vote for yours, but they'll have to vote for a second favorite as well. Winner gets a $50 Amazon gift card. Voting ends Jan 1, 2013. 1. We like the ties and matching sweaters! 2. All the way from Abu-Dhabi (or some other secret location). 3. Trying to make us jealous with their warm weather Christmas. Check out the penguin! 4. 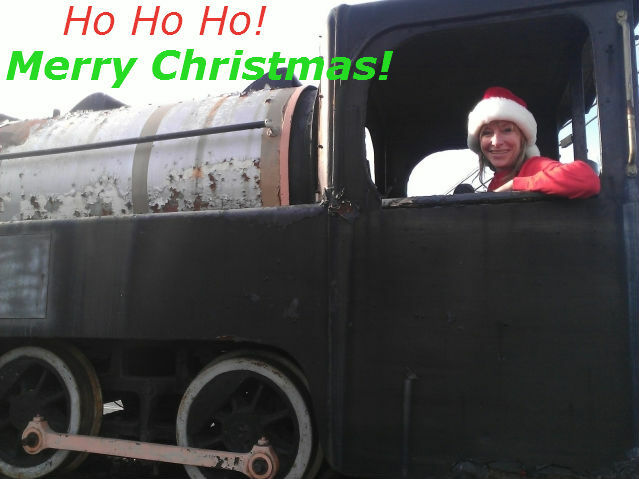 Choo, Choo, Choo, Merry Christmas! 5. Not sure this meets the criteria of a portrait, but Edna is trying. We'll post it. 6. Tiny Tres Amigos. Their title, not ours. 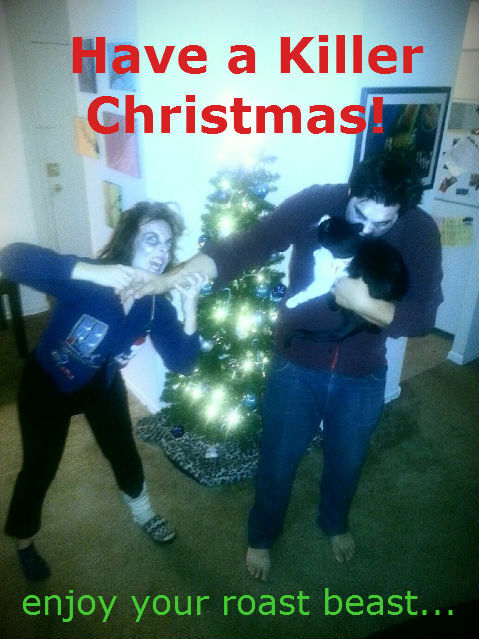 God bless us, every one! 7. Michal-Ann and Alex talked a lot of trash leading up to this competition and I have to say, I like it. We're still going to beat them though! 8. 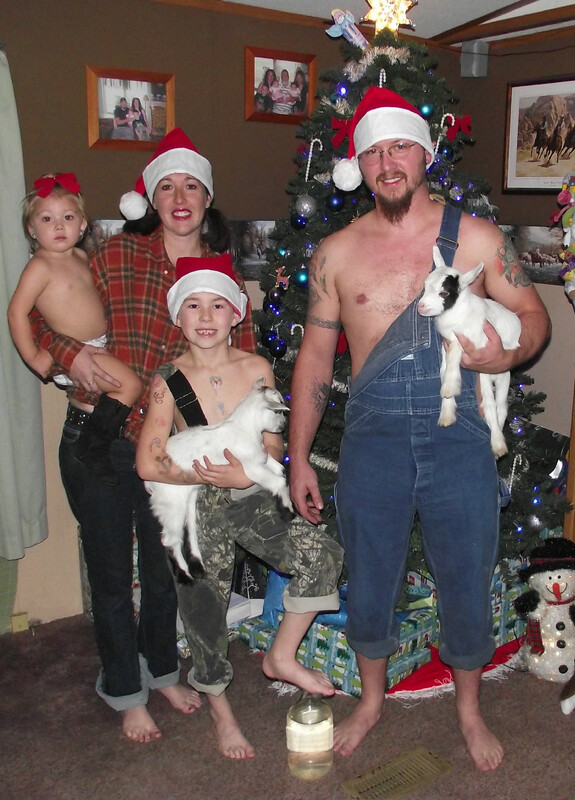 Redneck Christmas! Need I say more? Knowing Tim and Jessica, that moonshine's as legit as the goats! 9. And of course, ours because we rock. 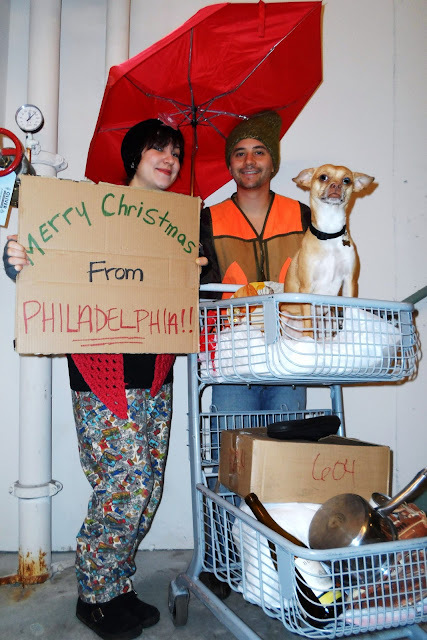 Things haven't gone so great since moving to Philadelphia so all we had to do was steal some crayons to make the sign.